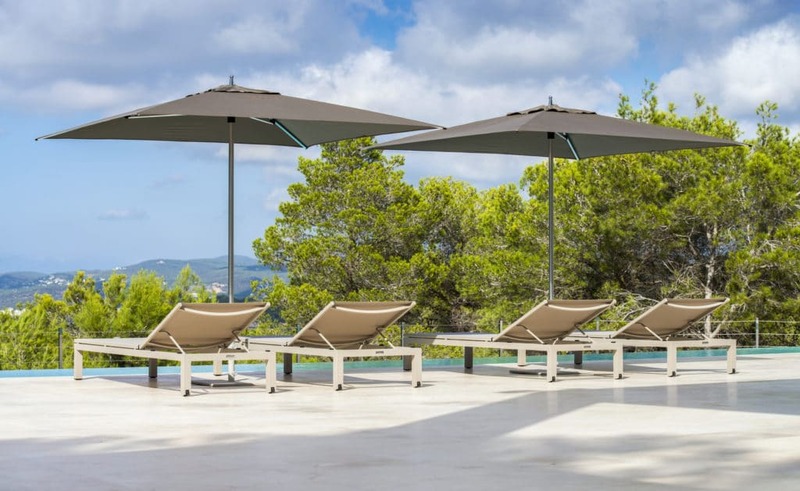 Outdoor living is increasing in popularity the world over, even in countries that do not enjoy the mild and glorious weather we have in Malta. We, Maltese, are no different and many have realized that spending more time outdoors is what we look forward to, especially in Spring and Summer in terms of entertaining and meeting up with family and friends as well as personal enjoyment such as reading or relaxing in a verandah, pool area, garden, patio, and any other available outdoor spaces. Today we spend more time outdoors entertaining than ever before due to the availability of more open spaces. Architects and their clients today place more and more importance on these open spaces. As a result, we are all looking at furniture and accessories that have style but that also reflects our personality and our preferred mode of enjoyment. What’s my outdoor furniture made of? There are many interesting and varied choices. 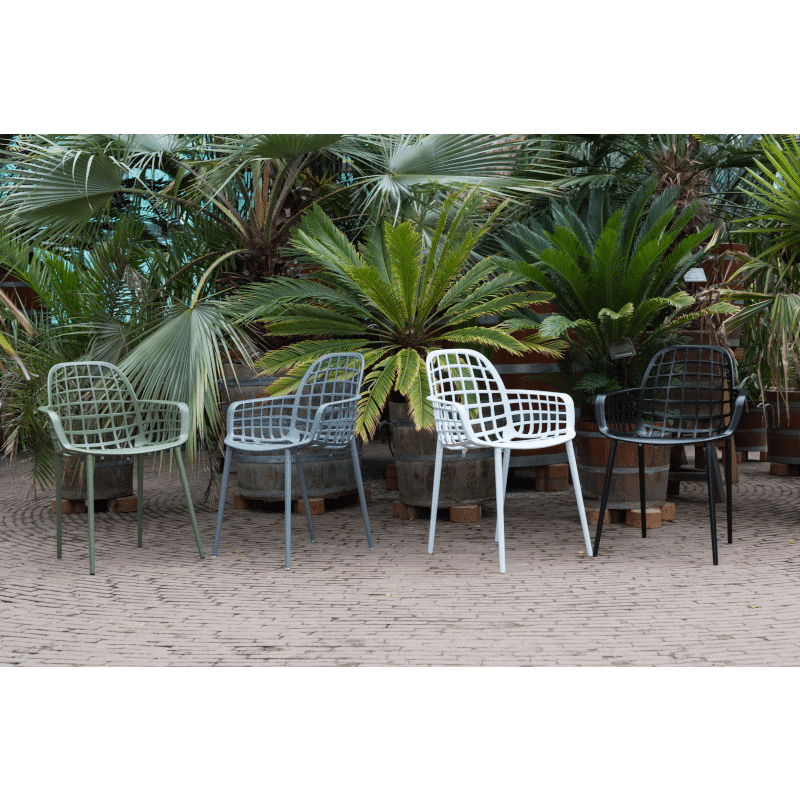 Whilst in days gone by it was teak and rattan that were the favourites (and they are still around), today aluminum, has established itself as the main material used in outdoor furniture. Other materials include plastic woven rattan and plastic/polyurethane structures. Each material has its strong points and drawbacks. 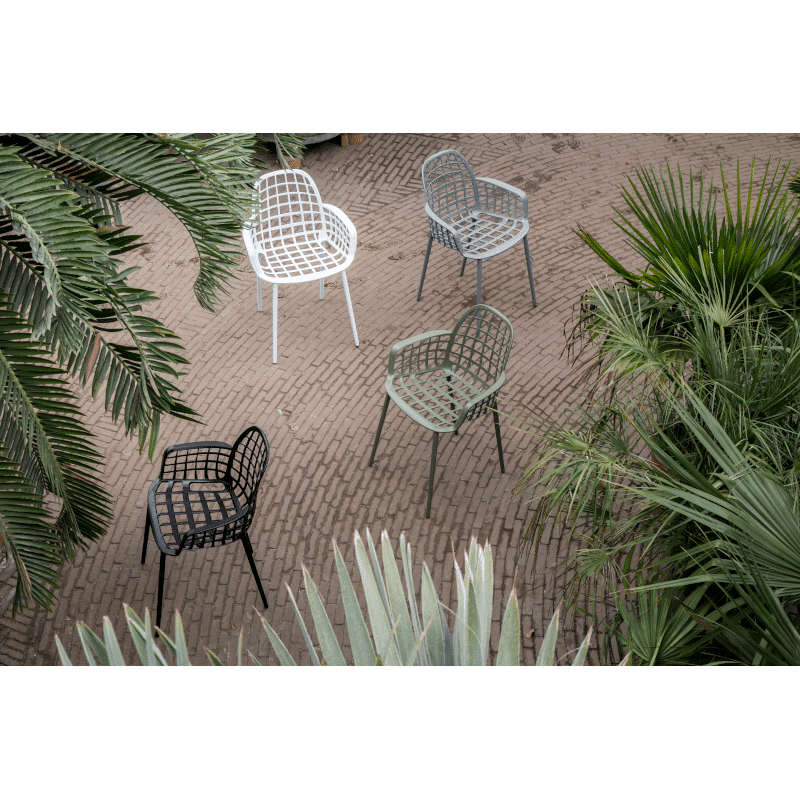 Traditional natural products like teak and rattan require regular care and maintenance but are very elegant and chic in the right setting and appeal to traditionalists. Stainless steel can give rise to bother especially in the salty and humid climate of the Mediterranean and unless the quality is top notch, be prepared for disappointment. Aluminum conversely has become very popular because it is lightweight and load bearing and does not rust as did the wrought iron outdoor furniture of the post-war era. 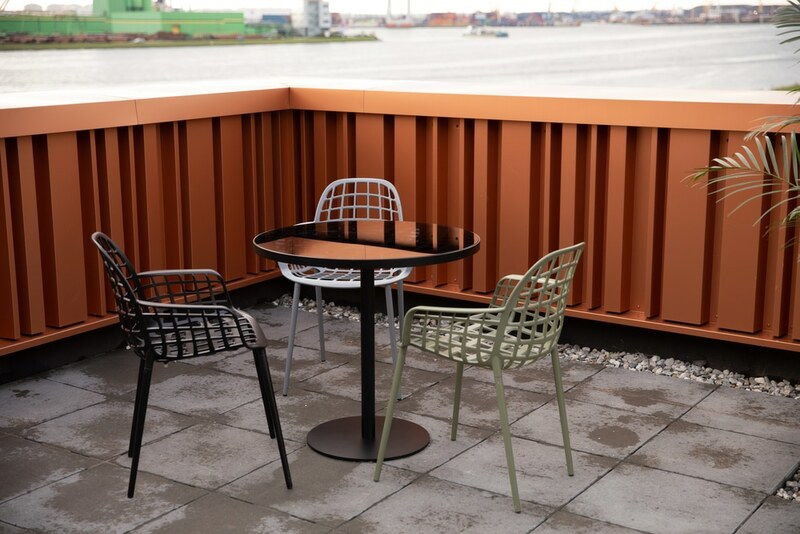 The quality of aluminum outdoor furniture is determined by the thickness of the aluminum profile used, the welding finish and the quality of the powder coat finish. To the naked eye, all aluminum chairs, tables, and sofas look identical but the secret is in the detail, so make sure that you compare like for like and not get taken in solely by the price. The netting on the seats also needs to be of good quality otherwise a chair or armchair will fail in no time and once the netting fails the chair cannot have replacement netting which means that you’ll have to throw it away. This kind of ‘buy cheap and throw away quick’ is something we want to avoid from since it is not sustainable in any way and contributes to the huge planetary problems we are facing. Remember, manufacturers will not peg their prices downwards out of generosity but many do so by cutting corners. The design and finish of your outdoor furniture will play an important part as their overall look will reflect your personality in the same way your interiors do. You can opt for dry foam cushions and outdoor fabrics that do not fade or shrink and this means you do not have to cart them in at the first sign of rain or when it is very humid as they dry out very quickly. Being light, cushions and chairs may well be blown around even when chairs are stacked so please ensure that they are well secured against wind gusts especially if your verandah or other open space is close to a main road. 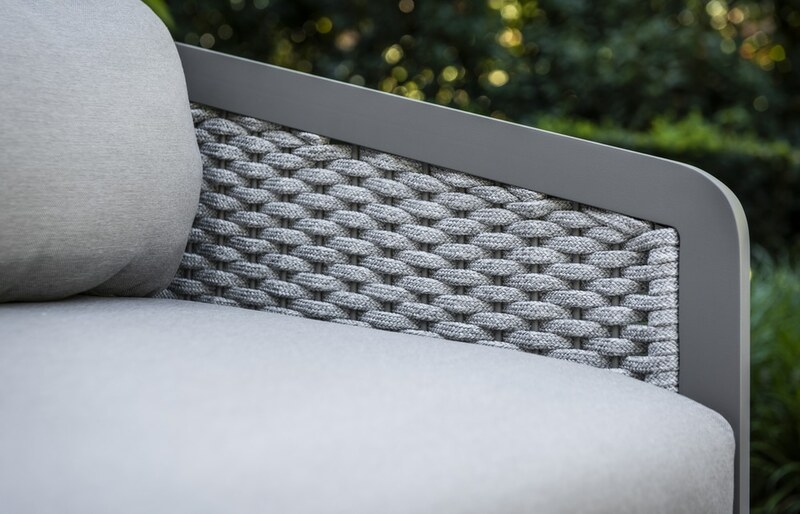 Our Outdoor Collection includes a new range of sofas and chairs featuring handwoven rope that is weather resistant. 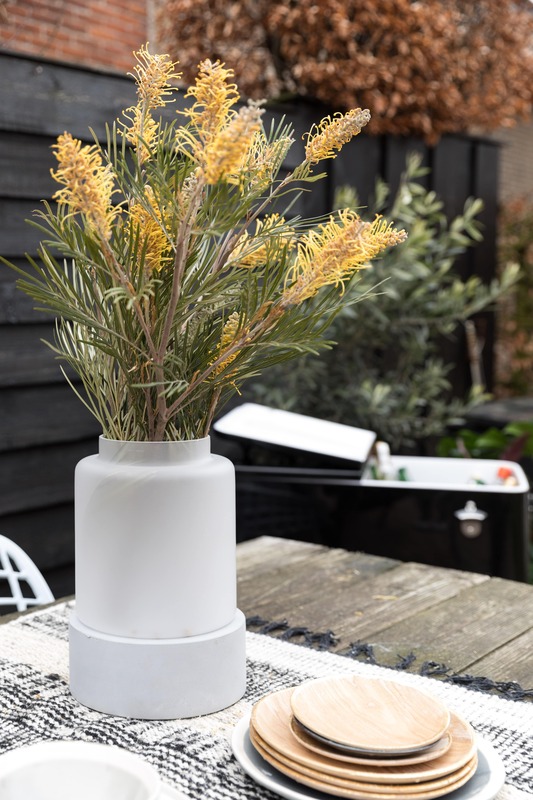 We also have a range of glass topped and extendible table models as well as new stackable chair designs from Belgian supplier Jati & Kebon as featured in the above images. 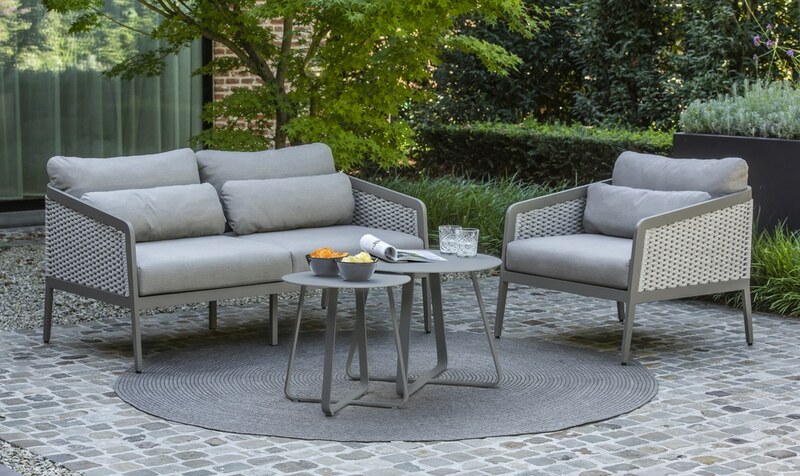 We will once again have a range of outdoor furniture from Zuiver featuring the Albert Kuip Garden chairs and their latest innovation, the Albert Garden bistro table to match. The chairs are sturdy enough to withstand winds yet light enough to be picked up and moved around the garden/patio/verandah following the gorgeous sunshine. When placed in the sun the Albert bistro table will cast reflection off its tempered glass table top and throw shadows through the open grid underneath the glass. Combined with the chairs that feature the same grid, your outside area will become the canvas of a light show. This sturdy garden table doesn’t require any significant maintenance and fits in even the smallest outdoor spaces. 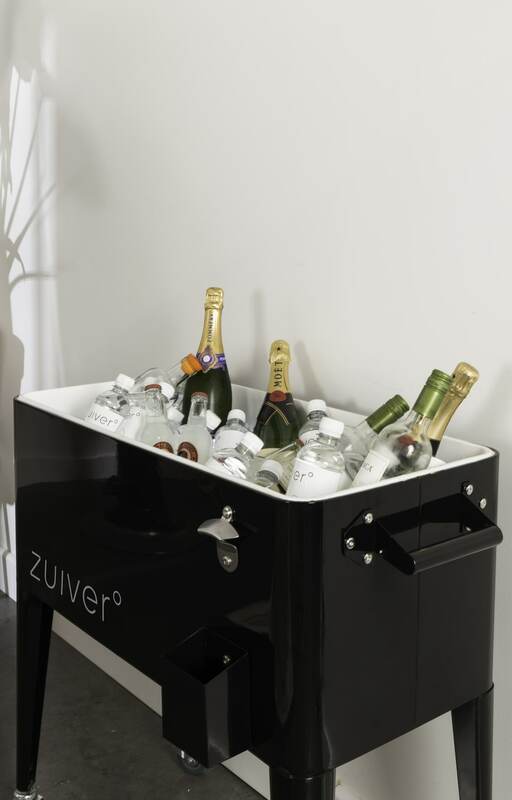 Check out the Zuiver Be Cool Ice Chest and let the BBQ games begin! This is undeniably the coolest cooler EVER! Just fill this baby up with ice cubes, throw in those beers, place it outside and casually pop one open with the handy dandy opener on the side. Boom! Super stuff! Reina vase is more than a vase. She is also a lamp, a jar, and a design piece. The lamp is rechargeable and wireless therefore making it the perfect outdoor accessory. She’ll distribute comforting sweets from the jar or cheer you up with a gorgeous bouquet of flowers!